One morning in May, the world changes in the blink of an eye. This is the beginning of a new thriller series, full of addictive suspense in the spirit of Lost. 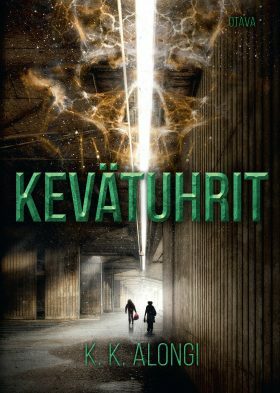 15-year-old Jade wakes up on the Helsinki underground, surrounded by nothing but darkness. The shocking truth is soon revealed: everyone else is dead. Oblivious to Jade, four others face the same horror in different parts of the city. United by coincidence, together they begin a journey towards the unknown in a world where nothing is the same.